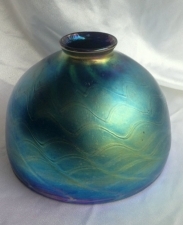 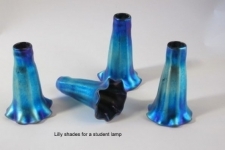 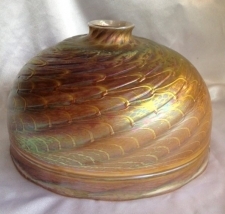 Luster Blue Dome Shade With Gold Swirl Design. 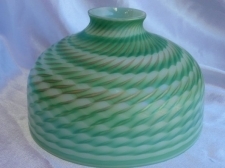 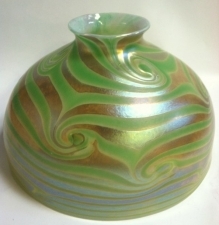 IRIDESCENT WHITE DOME SHADE WITH GREEN & GOLD MURANO DESIGN. 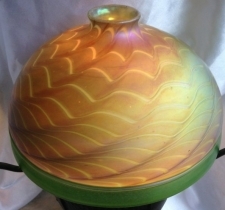 7" Gold Dome Shade with Green King Tut Design.